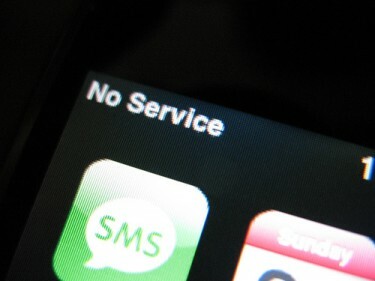 On Eid-ul-Fitr, the occasion that marks the end of the month of fasting for Muslims and is celebrated as a holiday, the government of Pakistan slapped a blanket cell phone service suspension on four major cities in the country – Karachi, Lahore, Multan and Quetta. Services are to remain blocked from 8pm on Sunday 19 August, 2012, till 11am Monday 20 August. According to the government, the measure has been taken to prevent terrorist attacks. While terrorism is a very real threat in Pakistan, many have reacted critically. The chief contention is that while this may indeed serve as an effective measure to thwart possible incidents of terrorism on the occasion of Eid, this is no way to resolve the problem. A blanket ban on cell phone services essentially infringes on the very rights of citizens, some have argued. Such a ban will surely affect mobile companies, on one of their highest revenue earning days. There are over 118 million mobile users in Pakistan, that's 68.2% of the country's total population. Pakistan also has the highest mobile penetration rate in South Asia. @YousafMalik41: #SenRehmanMalik Sir how is one supposed to make a call to police or rescue services in case of emergency from his cell phone? The State has the responsibility to maintain law and order but that shouldn’t come at the cost of citizens’ rights. To cut off communication services citing miscreants as an excuse not only violates the rights of citizens’, but is an unjust and discriminatory practice. There's no denying that terrorism is a bitter reality in Pakistan and recently, there has been a surge in terrorist attacks by Pakistani Taliban. However, national security must not dictate the extent to which basic rights are granted to the citizens. The breakdown of such rights, for an hour, for a day, or for any other length of time, essentially spells a drastic failure.